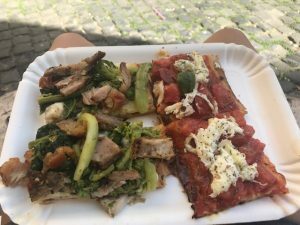 Roscioli is well-known in Rome for their bakery and their pizza. 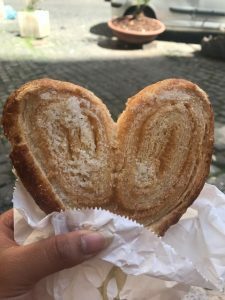 During these past two weeks in Rome, I have went to Roscioli four times to grab a quick bite of pizza that is sold by the weight and a delicious pastry to snack on. I always have another stomach for dessert. In Campo de’ Fiori, street vendors can be found here from the early morning to the late afternoon. 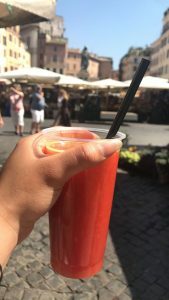 I went here to not only people-watch next to Statue di Giordano Bruno, but to also grab a freshly squeezed blood orange juice. Of course, what kind of life are you living if you leave without having gelato during your last week here?! As spring creeps in, many gelaterias are starting to get packed. 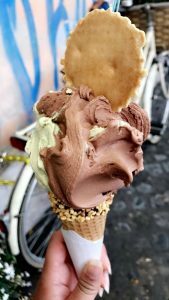 Join the crowd and make sure to get your gelato fix in! And last but not least, tiramisu. 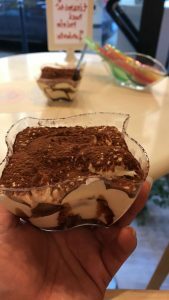 It is rare to find great quality tiramisu in the states, trust me. Yum! Chantal is a spring 2018 SAI Rome student from Saint Mary’s College of California.